Utilize assembly/disassembly instructions for a wide variety of antique firearms, including handguns, rifles, and shotguns. Tips from the Master Gunsmith You Won’t Find Anywhere Else! For the collector, for the hobbyist, for the amateur gunsmith, Antique Firearms Assembly/Disassembly eBook is an invaluable reference tool. 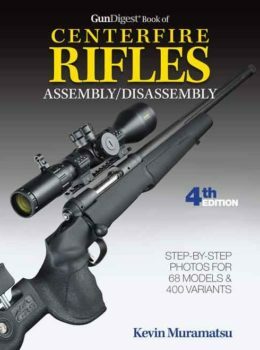 Written in plain English and profusely illustrated, this book provides detailed procedures for taking down and reassembling a tremendous variety of original and replica handguns, rifles, and shotguns. Whether you’re simply cleaning a Colt 1836 Paterson replica revolver or replacing the entire bolt assembly on a Marlin 1895 lever action, Antique Firearms Assembly/Disassembly eBook will help you avoid common mistakes, expensive pitfalls, and unnecessary headaches. 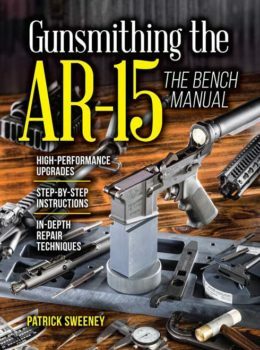 It’s a must-have addition to any gun owner’s library!